SpoofCard.com confirmed that Paris Hilton was among the terminated customers, and that Lindsay Lohan was among those whose voicemail accounts were broken into. SpoofCard has put software controls on its network so that customers can no longer use its service to break into the voicemail boxes of Miss Lohan or the other victims it has identified. Not only is this a poor way to address the security issue, it’s not really even addressing the problem; it’s addressing the symptoms, and in an extremely limited way by only blocking access from their customers to a list of specific users’ voice-mail accounts that have already been targeted. In SpoofCard’s defense however, it probably is the best they can do; It really is the cellular carrier’s problem because they allow users to disable the passcode required to access their voice-mail services, which then defaults to using only Caller-ID information to authenticate the user. It’s pretty telling of the state of user trust in today’s global telephony system when there are so many businesses that have sprung up around what is essentially a lack of integrity of calling-party information that has been introduced into the system by VoIP and the VoIP-to-PSTN interfaces that they feed their information through. There are still VoIP-to-PSTN service providers that will honor Caller-ID information passed to them by their users and forward it into the PSTN, and there are any number of companies like SpoofCard.com that will provide this service for the average, non-technical consumer. It’s sad that the general populace can really no longer trust the Caller-ID information that shows up on their phone. Telephony service providers, credit card distribution verification services, banks, and other companies need to realize this as well and stop using Caller-ID information to identify or authenticate their users, and really never should have been in the first place. This entry was posted in VoIP Attacks in the News, VoIP Security, VoIP Vulnerabilities on August 28, 2006 by Dustin D. Trammell. Presentations from the recent Black Hat conference in Las Vegas are online and can be downloaded from here. A lot of interesting stuff, including the Hacking VoIP Exposed presentation from our own David Endler and Mark Collier and Henrik Scholz on SIP Fingerprinting. This entry was posted in Conferences, VoIP Security on August 17, 2006 by Martyn Davies. Cisco today responded to the zero-day exploit released at the Black Hat conference earlier this month essentially saying that they were unable to reproduce the announced vulnerability. They have been working with Hendrik Sholz, the presenter at Black Hat who announced the issue, but so far seem to be unable to duplicate his work. They will continue to update the advisory as they investigate further. 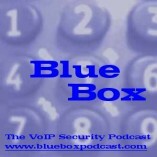 This entry was posted in VoIP Security, VoIP Vulnerabilities on August 16, 2006 by Dan York. Asia Media and Information Center, Avaya, BT, Cisco, IDT, Korea Telcom, Lucent, Nextone, Nortel, Malaysian Communications and Multimedia Commission, MERA and other international and regional leaders. Please see the session at 14:20 on Day 1 and join us if you can. Email is invited from anyone wishing to contribute issues or content on the topics. VOIPSA endeavors to provide acknowledgment and attribution to contributors. This entry was posted in VoIP Security on August 14, 2006 by Jonathan Zar. Insecurity of wireless has been much in the news. Â Reading reports from the recent Black Hat conferenceÂ and Defcon, there was a demonstration of how to compromise wireless devices by crashing the drivers, and also news about how easy it is to compromise RFID devices, for example cloning new, hi-tech passports that use the technology. Â Flipping open the pages of the August PC World USA, (yes, paper magazines do still exist! ), I see a report about the â€œ10 Biggest Security Risks You Donâ€™t Know Aboutâ€, and this includes a report about how Bluetooth devices can be infected by malicious Bluetooth apps that are passing by, perhaps a metre away. They also talk about viruses that travel via SMS messages. Itâ€™s a gloomy picture.Â Whatever platform we choose to carry around with us for our calendar/agenda or communications needs, it seems that they can be compromised in some way, even without anyone touching the thing.Â As we have noted in this blog before on a few occasions, a key way to compromise VoIP is to compromise the platform that you use to host it. Â But I guess it all comes back to the same point: we love Bluetooth because itâ€™s so damn convenient, but convenience is the enemy of security. Â When we get lazy, other people out there get busy, trying to find ways to mess things up for us. Which brings me very much to todayâ€™s situation with the current terror plot (that Tom Keating talks about here): Iâ€™m travelling back to the UK today, and thankfully the restrictions this end arenâ€™t too bad tonight: I can’t carry a bottle of water onboard, but at least I can get home with all my precious tech gadgets intact. Â Back in London, people are checking in their laptops, PDAs, Skype headsets and smartphones as hold baggage, and who knows how that stuff will look when the bags are unzipped tomorrow after the airline baggage handlers have had a go at them. Â Life is about to get much harder for travellers, as we confront the reality that eternal vigilance is the price of safety. This entry was posted in VoIP Security on August 11, 2006 by Martyn Davies. Dan Wing announced that draft minutes of the RTPSEC BOF in Montreal are now available.Â This session at the IETF 66 meeting was to discuss the various ways of securing the key exhange for SRTP and to see if we could move the requirements along and reduce the 13 or so proposals down to a more workable number.Â As noted in the minutes, there was significant progress made on deciding various requirements.Â The next step will be to see what comes out in terms of refined proposals to address those requirements. This entry was posted in Standards, VoIP Security on August 7, 2006 by Dan York. Blue Box Podcast #36 is now available for download. In this super-sized show, we discuss the voice security talks given at Black Hat 2006 last week in Las Vegas. There is an interview with David Endler and Mark Collier about the VoIP security tools they released, an interview with Ofir Arkin about his talk on NAC and involvment with VOIPSA, and many other news items coming out of the conference. This entry was posted in Conferences, Podcasts, VoIP Security, VoIP Security Tools, VOIPSA on August 7, 2006 by Dan York. Today here at Black Hat, Dave Endler and Mark Collier released a set of VoIP hacking tools that allow you to initiate – and automate – a whole range of attacks against SIP devices. Definitely interesting tools to check out. This entry was posted in VoIP Security, VoIP Security Tools on August 2, 2006 by Dan York. If any of you are heading out to Las Vegas for the 2006 Black Hat Briefing tomorrow and Thursday, please do drop me a note as I’d love to connect with podcast listeners, blog readers and others. There will actually be several of us out there including Jonathan Zar, David Endler and Mark Collier, largely because of the “voice security” section to the conference schedule. This entry was posted in VoIP Security on August 1, 2006 by Dan York.